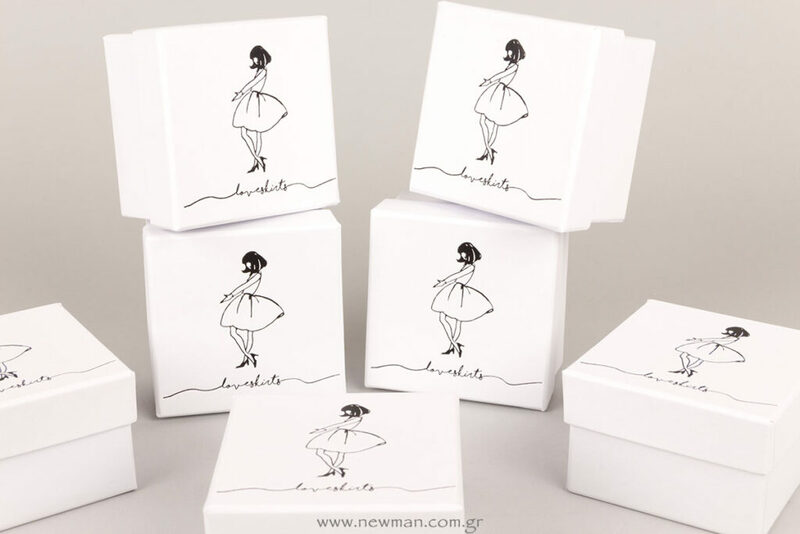 We designed and created paper boxes for Love Skirts. 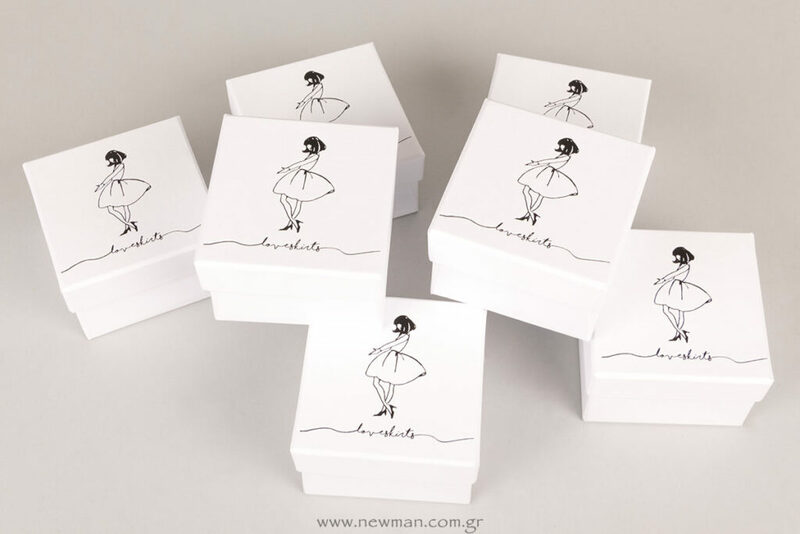 White paper boxes in specific dimensions and black hot-foil printing on the lid of the box. Learn more about hot-foil printing here. If you wish to place your order for custom packaging products or business cards, feel free to contact us. Images © 2018 Newman Co., All rights reserved. This entry was posted in Boxes, Jewels Packaging, Printing, Our work and tagged Box, Custombox, printed boxes, κουτί με εκτύπωση.